Today, small and medium enterprises represent 99% of the Spanish business. These enterprises are the main economic support of the country, therefore, we must take care of them and contribute to their growth. One of the dangers they are currently facing are cyber attacks. 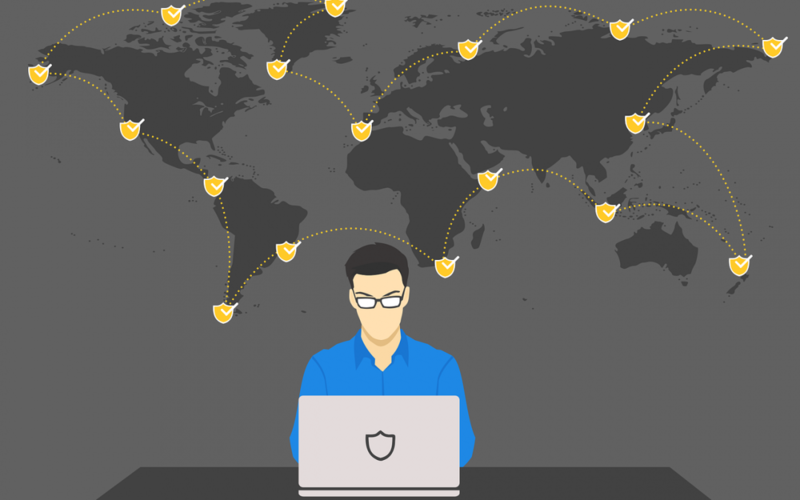 Although it may be thought otherwise, SMEs are the favourite target of cybercriminals as 70% of the attacks that occur in Spain are aimed at companies with less than 100 workers. This happens because they tend to have a lower level of protection, which makes them more vulnerable and an easy target for cybercriminals. It is estimated that 60% of these companies fail to recover from the losses caused by the attack. In order to stop and avoid the growth of these statistics, as small or medium enterprises, we can take a series of measures to reduce the vulnerabilities that facilitate success for hackers. Keep all equipment protected with an antivirus solution. Also mobile devices. Reduce the mobility of the system, it is easier to control own equipment and in the same network. Plan a policy for managing access and passwords. If possible, implement a system of multiple authentication methods and make sure that all devices have a unique, robust and well-protected access key. Define a system of continuous backups and store them securely. Create a clear data protection policy. Enable the https protocol on the company’s website. Install a firewall that protects the local network. Hire an insurance that protects in case of cyber attacks and that has legal coverage for the loss of data. Hire a “white hat” hacker, who is constantly testing the robustness of the system and proposing ways to improve it. Create a work protocol and give your employees specific training on how to apply it on a day to day basis. Make a list of prohibited actions and put it in a visible place. Provide instructions for the proper use of electronic mail and your personal mobile in the work environment. Concious about the use of social networks. Create a cybersecurity incident resolution manual. With certain frequency, it carries out simulations of cyber attacks, to see the response of the workers and what are the areas to improve. If SMEs begin to become aware of their vulnerability to the growing threat of cybercrime and the importance of investing more time and resources in this area, they will be able to reverse these bad statistics and avoid the issues related to the problem such as data loss, money loss and credibility loss. We hope we have offered some tips and ideas to help you out to overcome that cybersecurity transformation. What other methods do you use to protect your company from cyber attacks? Feel free to share them with us by commenting below.